Treehouses, rides, an animal farm and waterslides for when it’s sunny; soft indoor play, swings, jungle gyms and playhouses for when it’s not. 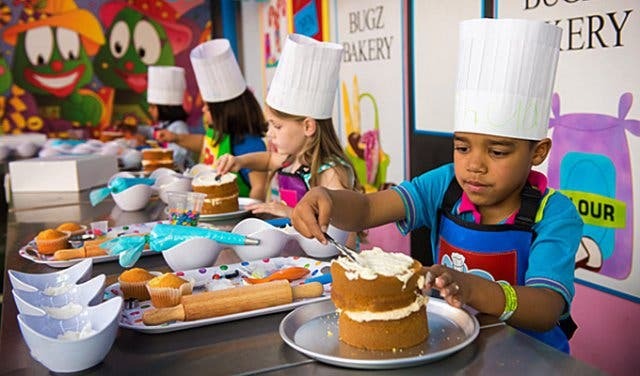 Plus: there’s also a jumbo water slide that even grandpa can enjoy and loads of meal and snack options to tuck into this Sunday at Bugz Playpark. 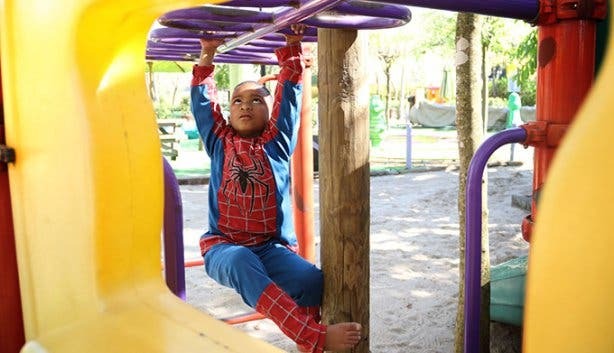 Just 30 minutes from Cape Town CBD and strongly focused on using playtime and new experiences to stimulate your child’s emotional, cognitive and physical development, this family playpark (the largest in the Western Cape) encourages (safe) free play in sandpits, slides, monkey bars, a mud kitchen, dollhouses and jungle gyms. And there are the rides. Zippy slides, rowboats, pedal bikes, a free-to-ride choo-choo train and (on sunny days) options ranging from an age-appropriate wave slide for 4–10 year olds to an exciting speed water slide for anyone brave enough from 8 years to 60. 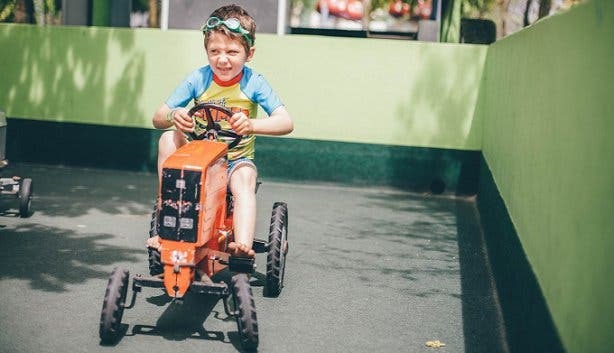 Even when it’s cold, windy or rainy out, Bugz Playpark is open. 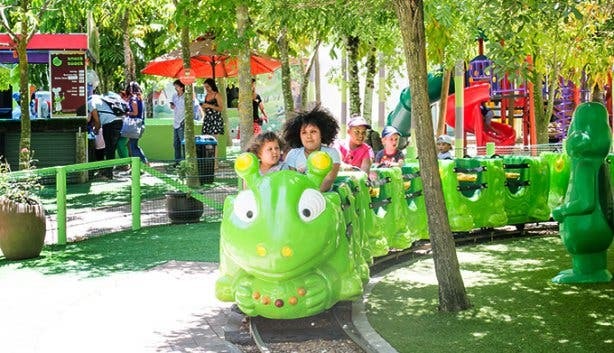 With plentiful indoor play areas and a food court offering on-the-go snacks or sit-down family meals from delicious farmer’s breakfasts to their famous Monster Burgers, there’s loads to enjoy at Bugz Playpark in Kraaifontein. Birthday parties? Bugz hosts up to 25 per weekend. 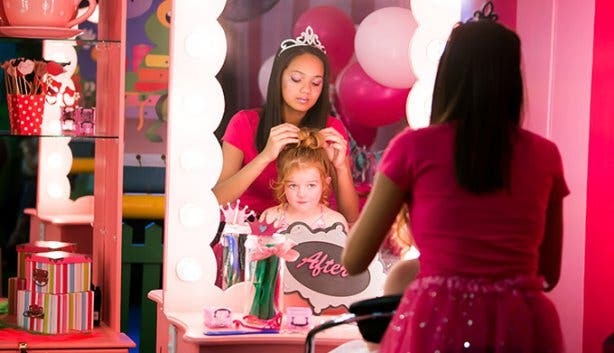 Choose from eight indoor and four outdoor party areas and 30 different party themes to celebrate your little one’s special day. Open times: Mon–Sun | 9am–5pm (except Christmas Day). Rides only open on weekends, school holidays and public holidays – weather permitted. 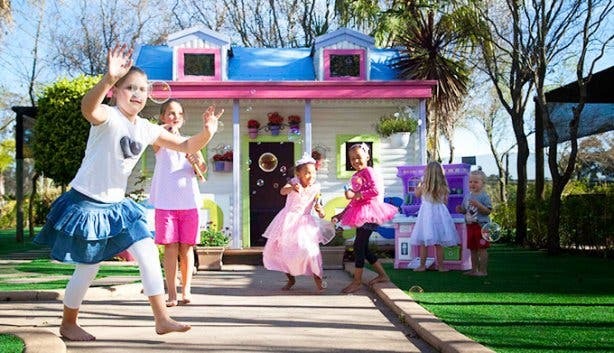 More family fun ideas? Check out this choice selection of fun things to do with the kids and activity ideas during the school holidays. There are loads of great places to have your little one’s birthday party. And plentiful exciting things to do when the weather’s not playing along. You might also want to visit these special Sunday markets in and around the city. Want your event to gain fame and a following? Our Events Support Programme includes diverse and affordable packages guaranteed to get results. 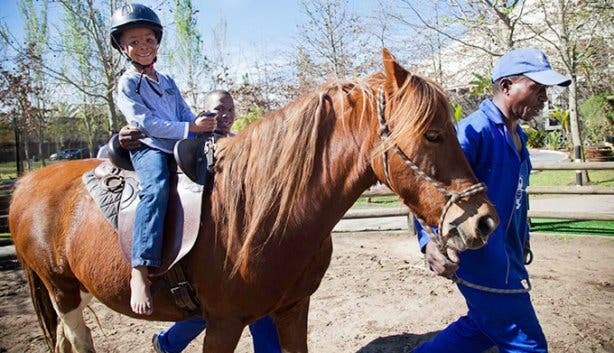 To learn more please contact partnership@capetownmagazine.com or phone +27 (0)21 422 2444.